We learned about Carla Shearon through Sabrina Schalley. She’s a Patient Services Director at “ALS in the Heartland”, which serves those impacted by ALS in Nebraska and Western Iowa. 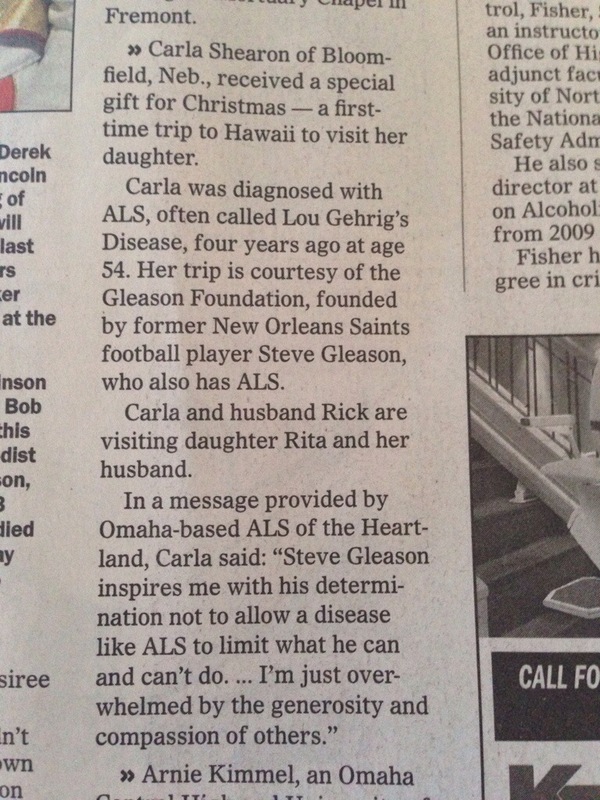 She’s also a childhood friend of Rian Emmerson, a Spokane member of Team Gleason. I’m not sure I would have ever used the word “adventurer” to describe my mom when I was young. My parents worked very hard to make sure my brother and I were always in good schools, and never went without anything we needed. This rarely left extra money for traveling, and little time to go on adventures. Now that I’m grown I can appreciate what I never saw before- the adventure in raising two children, the bravery required to forge a path that would allow those kids to go even further in the world than she did. 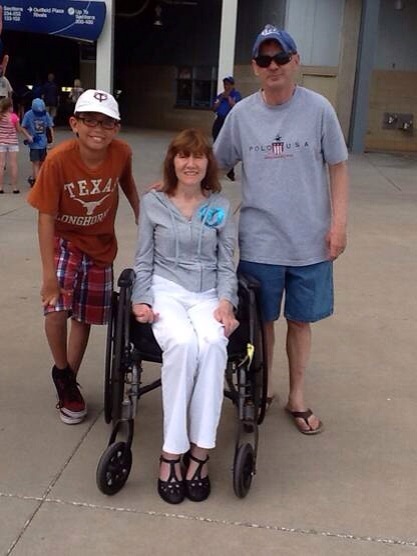 My mom was diagnosed with ALS in 2008, three years after I moved away from Kansas, where I grew up, to Hawai’i, where I live now. In that time she’s traveled all over the country, from Minnesota, to Nevada, to Louisiana. In all of the years that I’ve lived here we have never been able to work out the travel logistics for her to come visit me where I live. More than just about anything, my mom wants to come to Hawai’i, and see where I live, meet my friends, spend time with her new son-in-law, and experience for herself some of the adventures we go on. One of the most exciting things a person can do on Oahu is a doors-off helicopter tour, which showcases the majestic Ko’olau mountain range, stunning beaches, and the tallest waterfall on the island! I’d like to take my mom to the Pali lookout and show her the entire windward coast. In the winter there is amazing whale watching, as the humpback whales migrate to the warm waters of Hawai’i to calf. I’d love to take her to the north shore of O’ahu during a winter swell, so she can feel the power of 40 and 50 foot waves crash and shake the ground! There’s no question my mom deserves to come to Hawai’i, especially in light of how much she sacrificed in order to insure that I could make a great life for myself. If I could do it alone I would, in a heartbeat. 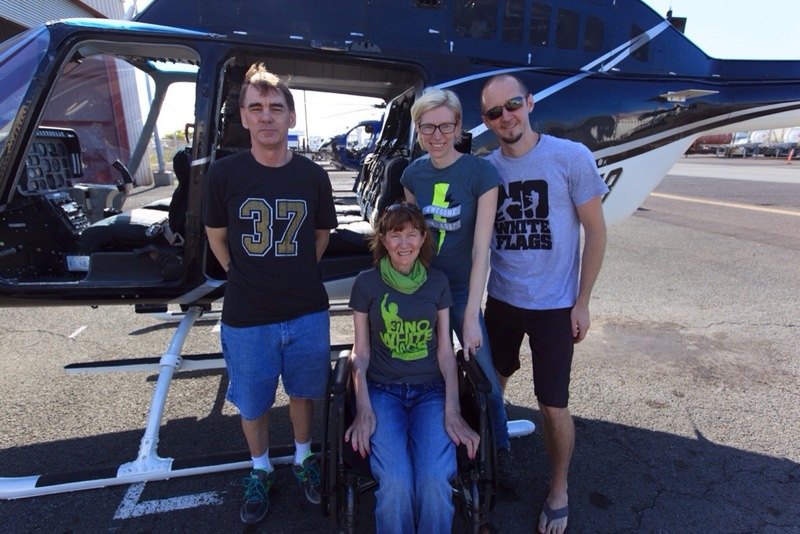 With the funds raised for The Gleason Initiative Foundation, we were able to send Carla and her caregiver, Rick, to visit her daughter, Rita and son-in-law in Hawaii. 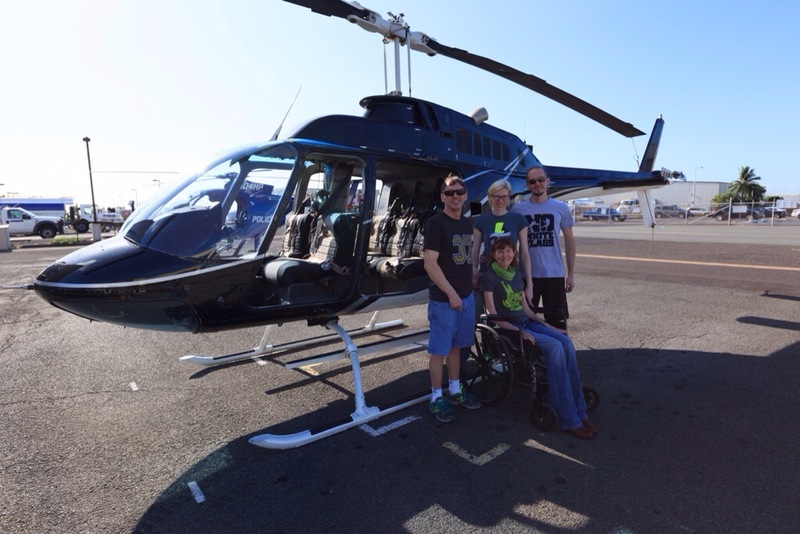 Steve always wants include adventure in their trips, so we were excited to be able to send the four of them on a helicopter ride! Read more about it in the Norfolk Daily News.